^ I hit both Darien Lake and Martin's Fantasy Island during my 2010 trip. I thought both parks were decent and had one star attraction I wanted to spend most of my time at. Despite being de-flagged, Darien Lake felt like a Six Flags park. The operations were relatively slow, the wooden coaster wasn't in the best of shape, and there was an awful SLC known as Mind Eraser. Ride of Steel was excellent though, as was the water park. Viper was actually pretty good as well, but they could use another big coaster to compliment Ride of Steel. Martin's Fantasy Island felt like Funtown U.S.A. Silver Comet is actually ranked right next to Excalibur for me and was a great wooden coaster with a mix of air and laterals. Lines were non-existent and they had a pretty good lineup of flat rides. The water park was small, but the mat slides were fast and very good. I actually didnt go on the SLC. The lines were long as far as theme parks usually go and i wanted to get the most thrilling coasters in. Nothing against the SLC but it just didnt look as fun as many of the others. I did go on the Boomerang though. I actually enjoyed it a lot. Not as fun as Ride of Steel but still fun. Also as for the SLC before I knew much about coasters even looking just looking at it,it looked kind of painful. Still if i ever go back to a park with one I might try it out to see if its as bad as others say it is. However of course it wouldnt be on top of my list. When were the new lights added by Niagara? The ones I saw in October were nice, so if they made them even better that is truly impressive. I believe that the new LED lights were added in early December. I would like to see for myself as well as the old lights were pretty decent (just outdated). If a ride is rough in the front, it truly is a sucky ride like Darien's Predator. I pulled the coasterbill trick on the front seat of Predator and had a pretty fun ride this past August! We were also grouped on Wild Beast so could not do the front seat. We ended up in like row 4 and it was bad....like Hurler at KD bad! On the Buffalo side one of my favorite attractions is Cave of the Winds. Not sure they still have that. Yep, it's still there and also one of my favorite NF attractions besides Maid of the Mist. storms555 wrote: I actually didnt go on the SLC. The lines were long as far as theme parks usually go and i wanted to get the most thrilling coasters in. Nothing against the SLC but it just didnt look as fun as many of the others. I did go on the Boomerang though. I actually enjoyed it a lot. Not as fun as Ride of Steel but still fun. Also as for the SLC before I knew much about coasters even looking just looking at it,it looked kind of painful. Still if i ever go back to a park with one I might try it out to see if its as bad as others say it is. However of course it wouldnt be on top of my list. Unless the SLC has the new trains with the vests, the SLC will beat your head around every day of the week. They pack so much pain into such a compact layout. I guess a return visit is in order then! I apologize, but this is going to be an incredibly short update, even for one of the mountain resorts. Immediately after we got on the mountain coaster, the heavens opened up and did its best Niagara Falls impersonation. My phone isn't waterproof and I didn't bring any zip lock bags for the short trip. After leaving Niagara, we were visiting a friend at Cornell on the way home so we made a pit stop in Endicottville, NY to try the mountain coaster at Holiday Valley. Compared to other mountain coasters, the Sky Flyer Mountain Coaster was considerably cheaper. Usually these coasters cost about $15 per ride, but this one was only $8. As far as mountain coasters go, this one was pretty average. The entire layout was well concealed in the woods, the turns were fast, and there were a few bumps on the way down that almost gave air time. It's kind of out of the way, but if you're ever in the area, Holiday Valley is in a quaint town and the mountain coaster is worth a ride. 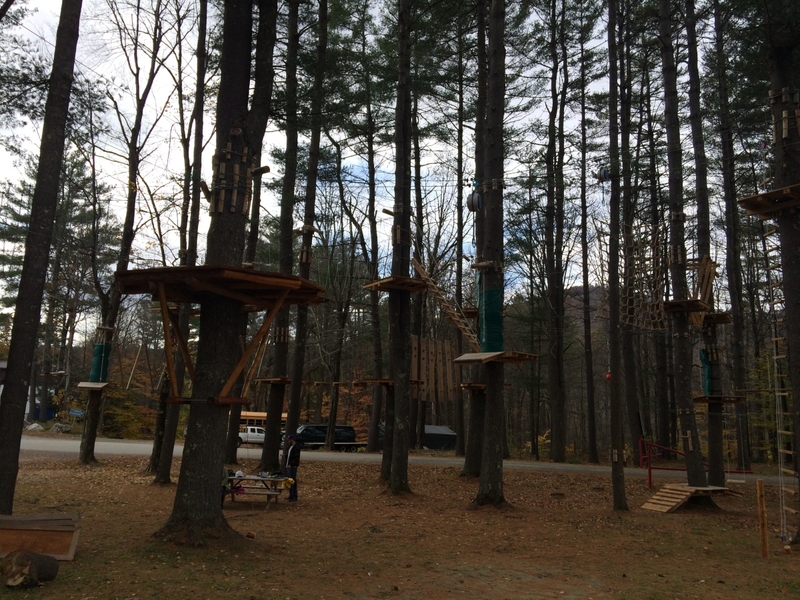 The resort also had what looked to be a really good ropes course as well. There she is. Well this update was easy. Berkshire was my last mountain resort of the year and it was one of the best. I made the pit stop on the way to Six Flags (it's about an hour away) since I had heard good things about the Thunderbolt Mountain Coaster and it delivered. The resort was 90% dead when I visited. 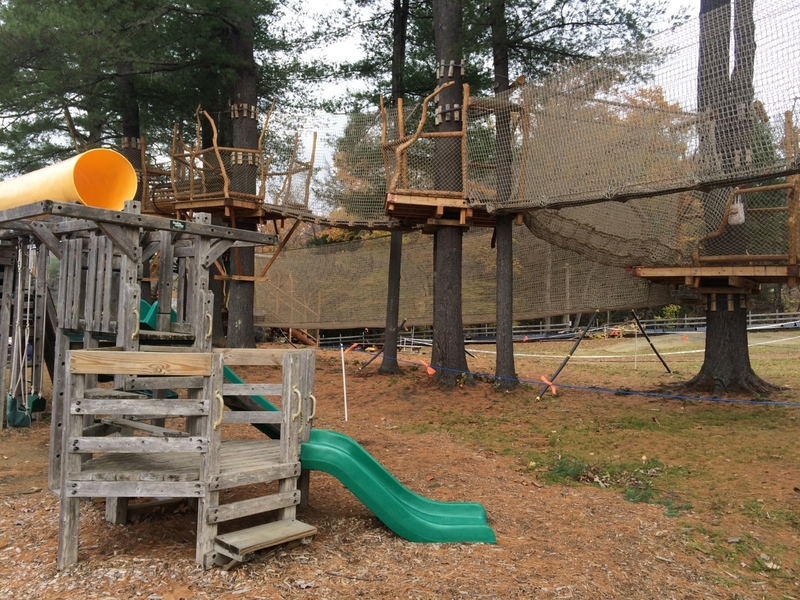 I didn't see anyone else by the coaster, ropes course, or playground. 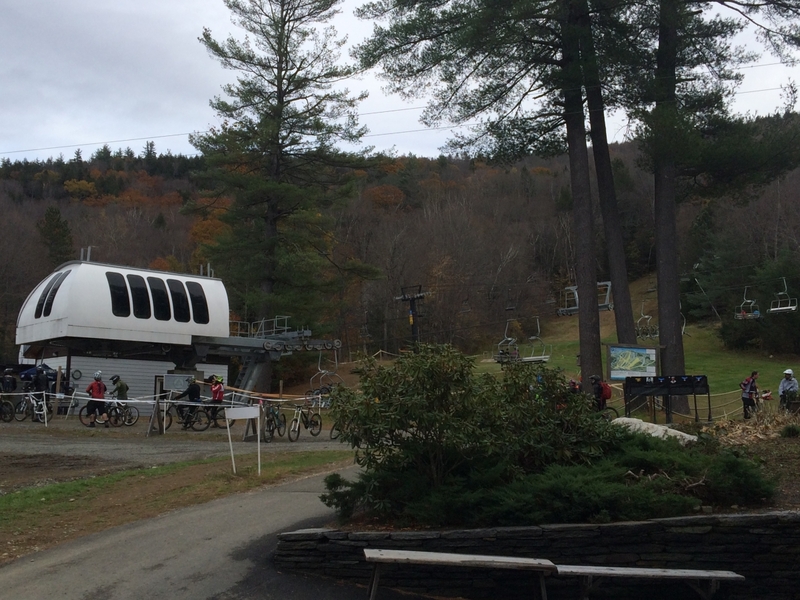 Everyone at the resort was waiting for the ski lift since there was a bike race. That worked out for me since I could hop right on the coaster and make my way down south to ride Wicked Cyclone and Superman for the last times in 2016. Thunderbolt is one of the longest mountain coasters in the world and the ride takes full advantage of it. The ride immediately builds up speed and flies down the hill. There are several small hills on the way down that give strong pops of air and the turns give pretty nice laterals as well. It's a toss-up between this one and Attitash's for the best mountain coaster, but I'll ultimately give it to Attitash's since I wasn't expecting that one to be as good as it was and it blew me away. I ultimately got three rides on the Thunderbolt, each time better than the last. I'd highly recommend stopping in the next time you're at Six Flags New England since it's not that far away and one of the best mountain coasters out there. 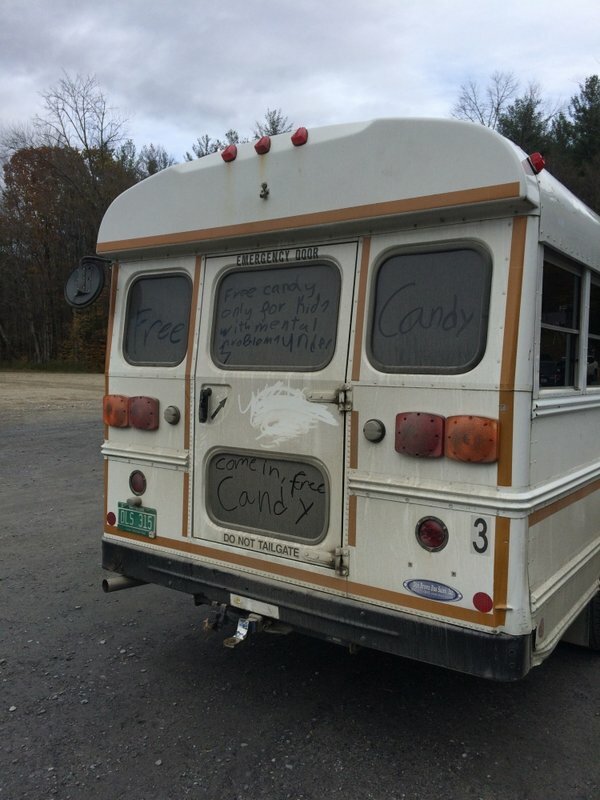 I was greeted with this lovely white van when I arrived at the park. The white van must have been disappointed to see an empty playground. Actually most of the place was pretty empty. 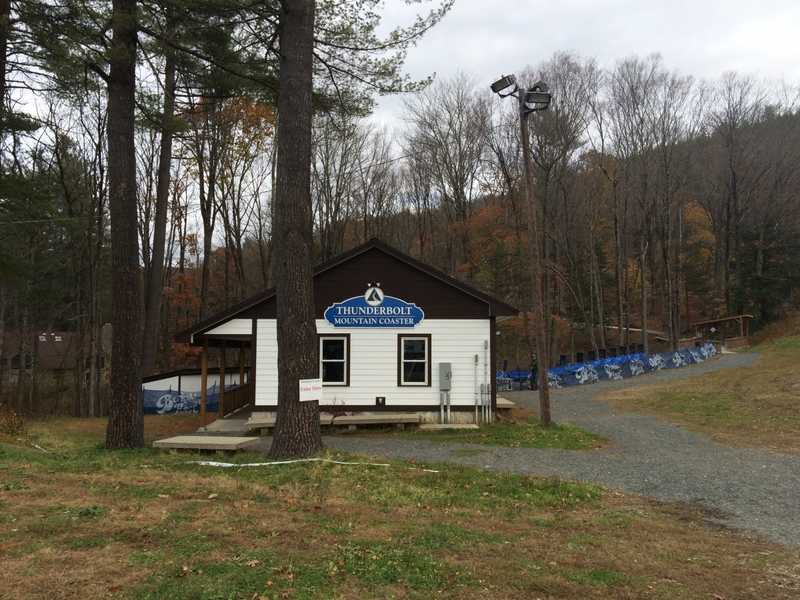 Except for the chairlift since they were having a biking race. The Thunderbolt is one of the best mountain coasters out there. This one has several strong pops of air and a really long layout. 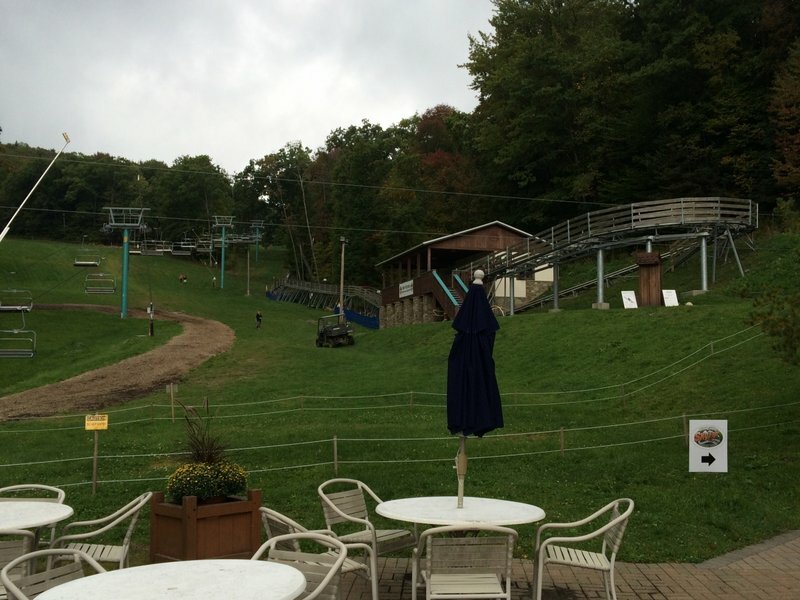 After leaving Niagara, we were visiting a friend at Cornell on the way home so we made a pit stop in Ellicottville, NY to try the mountain coaster at Holiday Valley. Compared to other mountain coasters, the Sky Flyer Mountain Coaster was considerably cheaper. Usually these coasters cost about $15 per ride, but this one was only $8. As far as mountain coasters go, this one was pretty average. The entire layout was well concealed in the woods, the turns were fast, and there were a few bumps on the way down that almost gave air time. Holiday Valley/Ellicottville is about 40 minutes from our house. We have done the mountain coaster about four times although it is the only one we have ever been on - we'd like to do more. You're right in that it's difficult to get photos of the coaster and they seemed quite strict (understandably enough) about about the no camera policy before boarding. Not sure if you had time, but they do have a very nice brewery and restaurant in downtown called Ellicottville Brewing Company - good food and tasty draft beers. Philrad71 wrote: I pulled the coasterbill trick on the front seat of Predator and had a pretty fun ride this past August! Same. We heard about how awful it was and finally visited this year for the first (and probably last) time and the ride wasn't rough at all with that trick. I was pleasantly surprised. Unfortunately I missed out on the brewery. I had to make it to Ithaca's Apple Festival which was a weird and cool event. ^ Hopefully a report coming for that as well...I like weird and cool! We went to the Cuba Garlic Festival this year...that one was interesting as well, although I don't believe that I took many photos.